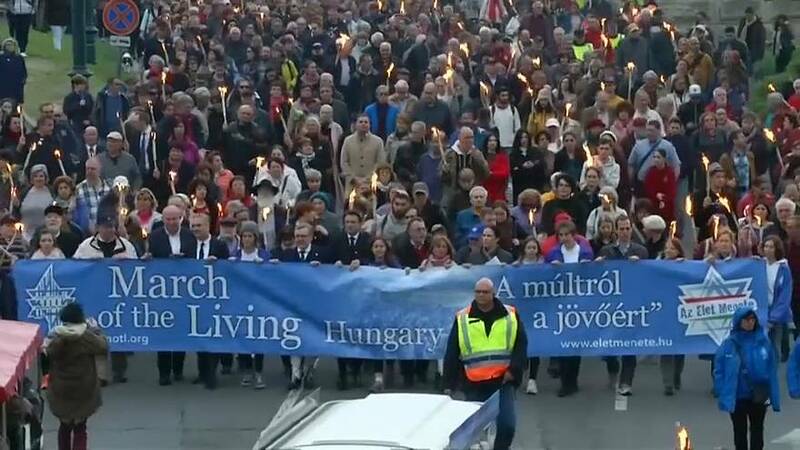 Thousands have attended the annual March of the Living in Budapest to commemorate victims of the Holocaust. 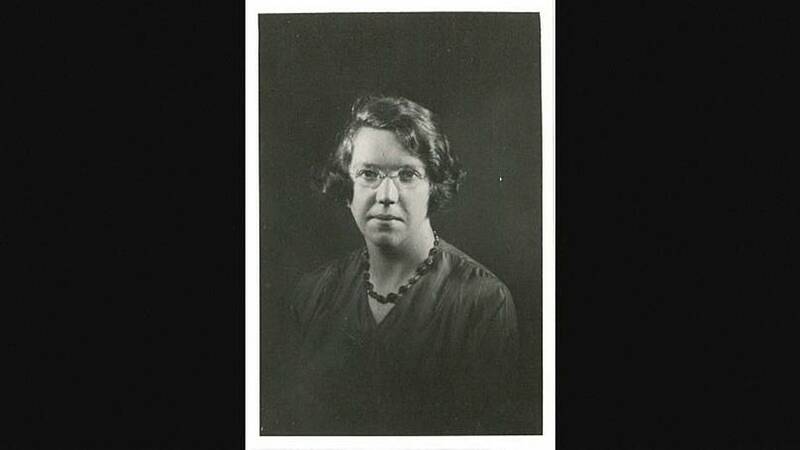 This year the torchlit procession honoured Scottish missionary teacher Jane Haining, who refused to abandon her Jewish pupils during the Second World War. Haining was arrested by the Gestapo in 1944 and died at Auschwitz, as did most of the 565,000 Hungarian Jews killed in the Holocaust. She is the only Scot to be honoured as “righteous among the nations” – the honorific given to non-Jews who risked their lives to save Jews from extermination by the Nazis – by Israel's Holocaust remembrance authority, Yad Vashem. Born in 1897 into a farming family in Dumfriesshire, southwest Scotland, Haining studied business in Glasgow, but decided she wanted to work with children after teaching at a Sunday school while living in the city. In 1932 she went to Budapest to teach at a girls' boarding school run by the Church of Scotland's mission, which accepted both Christian and Jewish pupils. By the time the Nazis occupied Hungary in March 1944, she was the only remaining foreigner working at the school. While the rest had left the country for their own safety on the advice of the authorities, Haining refused to desert her charges. She was arrested the following month on charges including political activity and espionage, which she denied. Agnes Rostas, 83, one of Haining's Jewish pupils, recalls: "Miss Haining arrived with the two Germans, they began going downstairs when Miss Haining looked back and said 'don't cry children, I will be back by lunchtime'. I never saw her again." Haining was deported to Auschwitz in May, 1944 and died in July of that year, aged 47, in the camp hospital, according to her death certificate. In 1946, the Scottish Mission in Budapest received a letter from Hungarian Bishop László Ravasz, telling them of the efforts he had made in vain to bring Haining's arrest to the attention of the Hungarian government. Sunday's march was led by the UK Government's Scottish Secretary David Mundell, who said: "Miss Jane Haining's words and actions embody a self-sacrifice that we should never forget." In 2010 Haining was awarded a posthumous Hero of the Holocaust medal by the UK Government. In 1948, two stained glass windows were installed in her honour at the church in Queen's Park, Glasgow, where she had been a parishioner and Sunday school teacher. Reverend Aaron Stevens, head of the Scottish Mission to Budapest, said Sunday's march presented an opportunity to speak up against prejudice and intolerance. "Sometimes when we look at the messages people are promoting today about foreigners it's not that different from the messages that were being spread about Jews some 75 years ago. "We need to speak up and stand up in solidarity with those who might be victims of prejudice. There is something to be said about this woman who comes from a Scottish village, comes all the way to Budapest, Hungary, simply to help... and then when she has a chance to go home and stay safe she refuses, because she's going to stay with the girls and eventually it costs her her life. "That kind of courage, that kind of decisiveness from someone... If she could make such bold decisions and show such courage, maybe I can too." Your Call in full: Gender equality and is the Holocaust forgotten?